We call upon our boat’s electrical system to power everything from radar to a 2,000-gph bilge pump to a refrigerator and even an iPad. 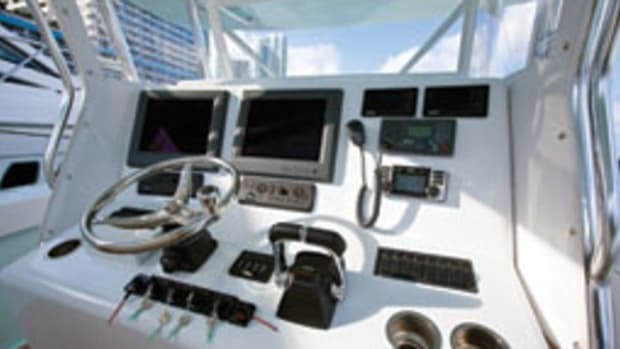 And, of course, no boat is complete without an array of navigational electronics with high-definition screens and the latest in communication devices. Digital controls and monitoring systems also are now part of most propulsion systems, whether outboard, inboard, sterndrive or pod drive. And make room for other electrical devices, such as engine room surveillance cameras, security systems and night-vision equipment. 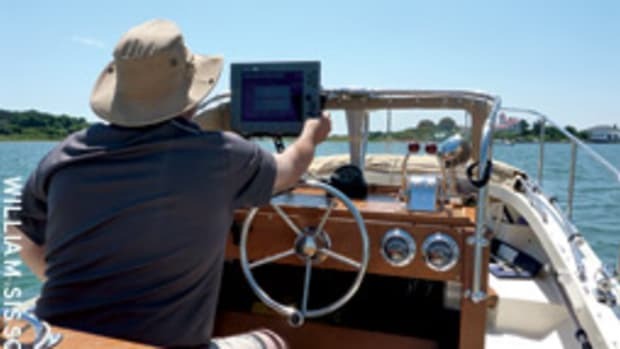 All this technology makes operating a boat easier and safer, but the advances also call for more robust electrical components and systems to handle the power consumption — a fact some boat owners overlook, according to marine electrical system experts. Laska recently inspected an electrical system on a boat that was using an engine-start battery to power its DC inverter instead of a deep-cycle battery. “Yes, the starting battery is roughly half the cost of a deep-cycle battery, but that’s because there is half the amount of lead in [the starting battery],” Laska says. An inverter draws or consumes a large amount of current over a long period of time, so the battery plates have to be constructed of thick lead so they resist buckling under load, he says. A less-expensive starting battery powering an inverter may last a year before the battery’s side wall deforms or the plates short out and fail, Laska says. 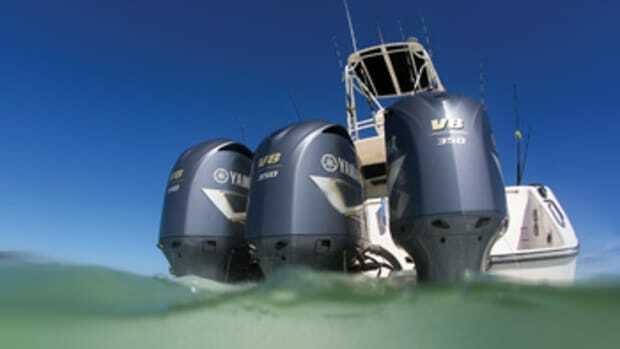 When you buy a new boat it’s comforting to know that most U.S. builders are now part of the National Marine Manufacturers Association certification program, which uses ABYC standards as guidelines for electrical system installations. “That certification, in my view, has really helped to raise the bar across the board,” Sherman says. But assume nothing when it comes to power management on your boat, even if it’s right off the showroom floor, experts say. 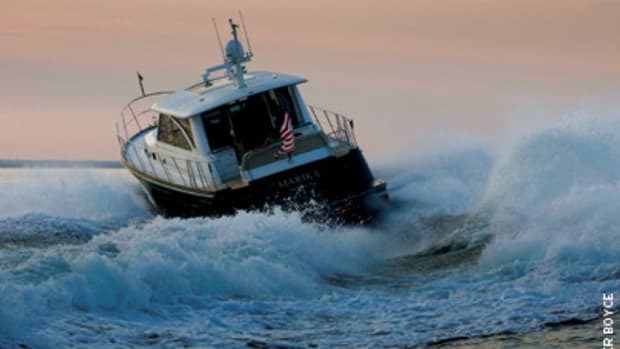 “Just because the boat came directly from the factory doesn’t mean it is equipped for your electrical needs,” says Soundings technical consultant Erik Klockars, a marine technician for 35 years. For example, Klockars recently replaced two starters in a new 70-foot powerboat because the battery cables were undersized. Undersized wiring, sloppy crimp connections, and a lack of wire support and chafe protection stand out as common do-it-yourself errors, Sherman says. Laska cites improper grounding. Under the helm console or adjacent to the boat’s DC circuit breaker panel, there is usually a DC negative bus bar with a heavy black wire (older boats) or yellow wire (newer boats that are ABYC-compliant) that travels directly to the negative post on the house battery, Laska says. All adjacent DC accessories must have their respective negative wire connected to this bus bar, also known as the DC common ground. Examples of improper grounds include DC ground connections made to the green bonding wire, DC ground connections shared with a grounded accessory, and DC ground connections made to copper steering lines, engine blocks or engine gauges. Also, don’t forget about your fuses. 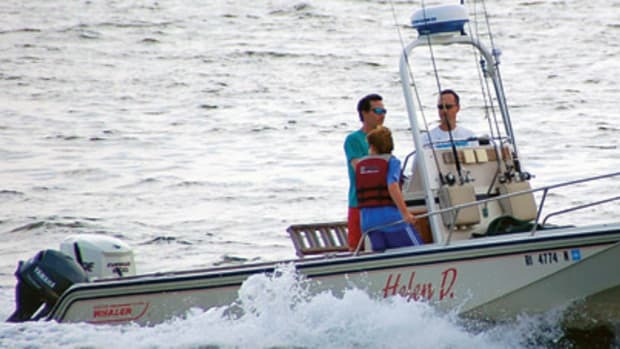 If your boat has an auxiliary DC fuse panel, or capsule fuses, replace them every three to five years. Use marine fuses with a layer of tin plating to ward off corrosion. There are several practices that can help ensure appropriate power. “Safety is paramount, so I value properly installed batteries and properly rated and positioned circuit over-current protection,” Sherman says. Secure the batteries well, cover the terminal connections and keep the batteries vented, he advises. 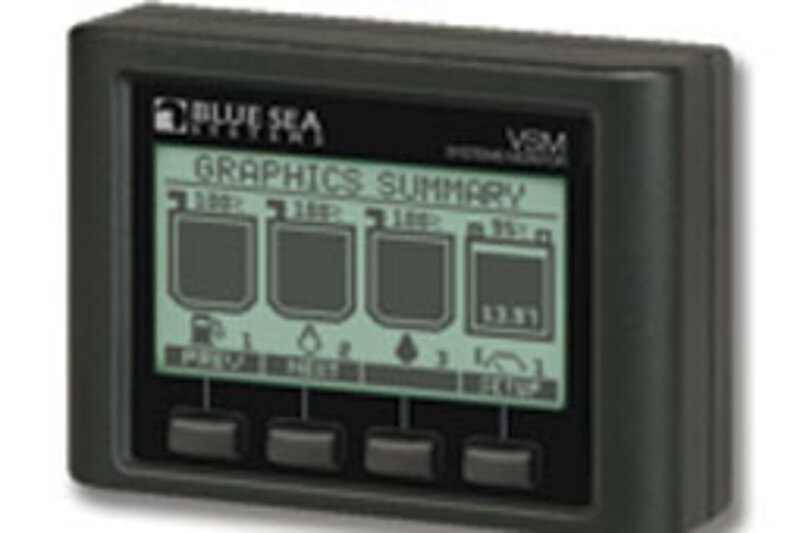 Sherman recommends the VSM 42 monitoring system from Blue Seas Systems, which utilizes an algorithm to calculate power consumption (www.bluesea.com). 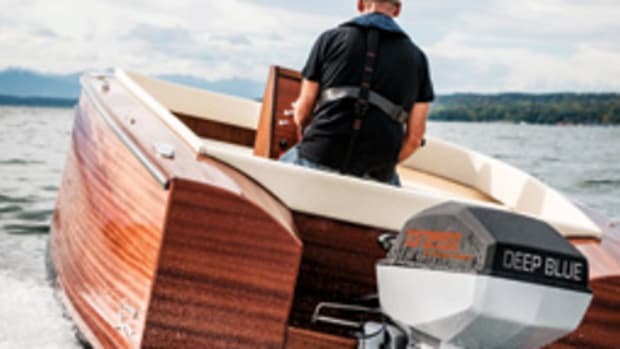 A low-voltage disconnect switch is useful, especially for owners who moor their boats or those without shore-power access, Laska says. 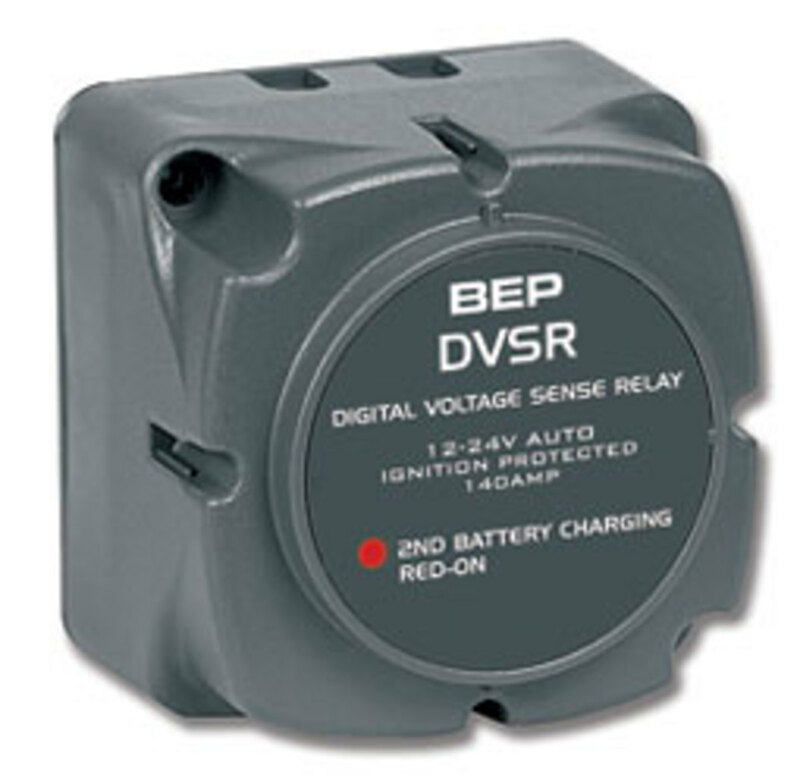 These devices disconnect non-critical loads from a battery when it falls below a preset voltage. The switches automatically restore the functionality of the ancillary equipment when the battery voltage returns to its normal level. “There’s nothing more frustrating than arriving at the boat and being greeted with a dead battery bank,” Laska says. When it comes to lighting, LED is the way to go, according to our experts. LEDs drastically reduce power consumption. “You would be amazed at the accumulated amount of current that DC halogen lights on an average 40-foot cruiser draw,” Laska says. Four halogen cabin lights draw about 5 amps each. Add an anchor light, a little stereo background music and some basic navigation electronics and you’re easily removing 30 amps from your battery, Laska says. “At that rate it won’t take long to deplete a house battery,” he says. 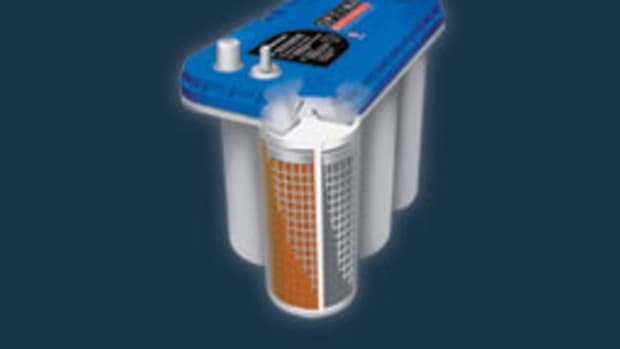 If you’re shopping for a new or used boat, it’s a good sign if the boat is equipped with a battery charger, one that can handle different types of battery chemistry (flooded-cell, AGM and gel). On boats from about 30 to 45 feet, look for a multibank charger capable of at least 20 amps of output, Laska says. An even better setup is a three-bank, 30-amp charger with a remote status display at the main electrical panel, Laska says. To ensure that the engine batteries remain isolated and charged, he says boaters might want to consider a voltage-sensitive relay or a series automatic-charging relay. 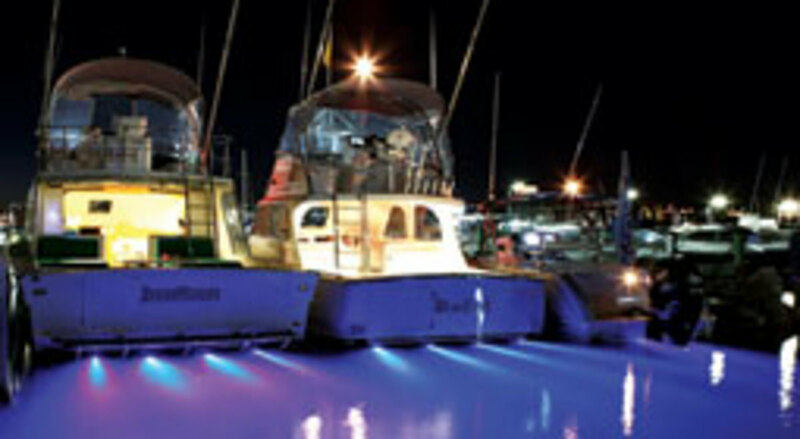 They range from $70 to $200 and are sold by companies such as BEP Marine (www.bepmarine.com) and Blue Sea Systems. These devices automatically combine the batteries during charging and isolate them when they are not charging, Klockars says. To be sure your electrical system is set up properly, hire a surveyor or electrical expert, Sherman says. 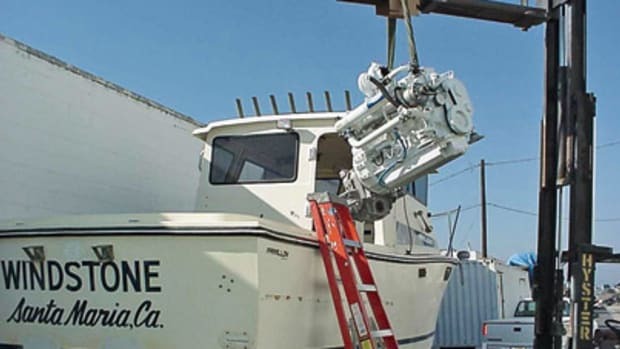 “I recommend that if your surveyor is not quite savvy with electrical systems — and most are not — that you seek out an ABYC-certified marine electrical technician to look things over for you and give a list of recommendations,” he says. ABYC (www.abycinc.org) has a list of certified technicians sorted by state, so finding one should be easy.